Welcome to Festivals’ Book Club, in association with Vintage Books. Each month, we’ll be reading a different title and would love you to join us: either at our live book group in Cheltenham, or by sharing your thoughts online. As soon as you start reading it, you feel you’re in very good hands. It’s the most extraordinary discovery for us lucky readers and it seems to hit human truths in a way that we find in great literature. I can’t convey well enough; it is a marvellous discovery. Click on the left-hand link to hear author Ian McEwan discussing Stoner. Cheltenham Festivals Member? Apply for your free book and chance to attend. Can’t attend? Save 5% on this title at Waterstones Cheltenham with Cheltenham Festivals Membership. A quiet literary American novel about the life of an ordinary man, storming charts across Europe over forty years since it was first published, is beginning to reach readers in the UK. John Williams’ novel Stoner, published by Vintage Classics in the UK, is reaching bestseller lists in France, Spain, Italy and the Netherlands after being one of Israel’s bestselling books of 2012. Publisher’s Weekly reported on the story last week, quoting Tom Hanks who said in 2010 “It’s simply a novel about a guy who goes to college and becomes a teacher. But it’s one of the most fascinating things that you’ve ever come across”. The word-of-mouth phenomenon has taken Vintage, the novel’s publisher in the UK, by surprise. Following a reissue in 2012 the novel has subsequently been reprinted twelve times, with sales steadily climbing from an average of 300 to 6000 copies a month. Independent booksellers too have seen a surge in interest. Jonathan @booksellercrow says “Stoner is a gift for booksellers such as ourselves; only yesterday a customer said to me, ‘I would never have picked it up without your recommendation and it was easily the best book I read last year”. Frances Macmillan, Editor, Vintage, says: “We have been watching the steady rise of what we are dubbing The Stoner Phenomenon with increasing excitement as the months have gone by. What started out as a few people talking about a quiet American novel (with a very quiet cover) seems to be growing into something much bigger. On Twitter too, it seems it’s the slow ‘bookishness’ of the novel that readers love. Driven by word of the European success, more and more people here are also seeking out this deeply moving and beautiful novel. We’re all Stoners now”. 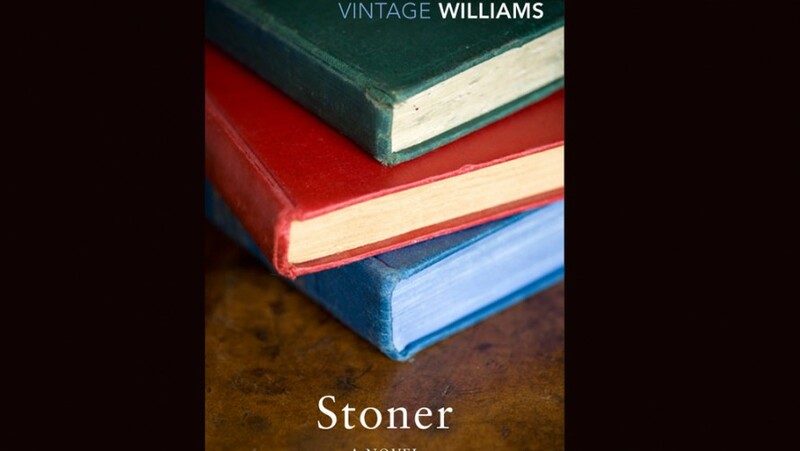 John Williams’ Stoner is something rarer than a great novel – it is a perfect novel, so well told and beautifully written, so deeply moving, that it takes your breath away…few stories this sad could be so secretly triumphant, or so exhilarating. Williams brings to Stoner’s fate a quality of attention, a rare empathy, that shows us why this unassuming life was worth living.